- “What the heck are you doing?” Asked the wife in astonishment. I loved the way each character in the story dealt with the ordeal. They symbolized the three different way of approaching a problem. One person can take some time to admire the meanings and learn useful lessons (the two men in the play); another can just deal with the problem anyway he/she can and get it over and done with while failing to perceive any hidden wisdom (the maid in the play). And still, a third can just panic and run around asking for help taking no action and blaming others for his/her failure (the wives in the play). One of my favourite books about anxiety and mental illness is Sarah Wilson’s First We Make The Beast Beautiful. Sarah wrote about her life long struggle with anxiety and OCD and how she finally managed to get her life on track by admiring the uniqueness of her own mind and digging into the wisdom of her challenge. 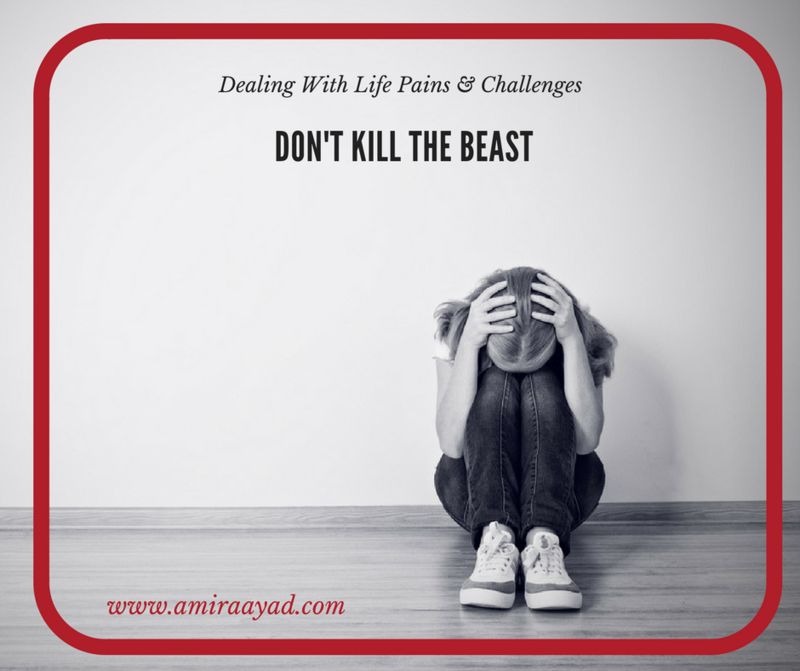 Instead of fighting and drugging ‘the beast’, she shifted her efforts into ‘making the beast beautiful’… It is not easy… In fact, it is much easier to drug the life out of our beasts… but it is much more rewarding to learn and grow with them.